Spruce up Christmas this year with our Letterbox Christmas tree. Yes, an actual tree which can fit through your letterbox. Living in London means limited space, and who has time to chop down a tree, then try to cart it through the madness that is London traffic and then up six flights of stairs. Now there’s a resolution! Ah okay, yes it is only 40cm’s but these mini Christmas trees are made of pine and come in their own pop-up pot with perfectly proportioned baubles! Cute eh. 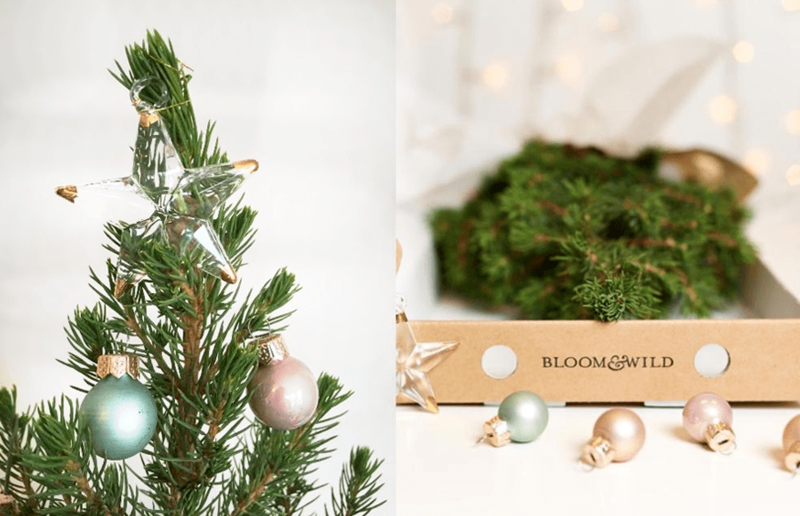 The clever flower lovers at Bloom & Wild are behind the idea and are launching a ‘Tiny Tree’ pop-up in Boxpark, Shoreditch to help you out. You’ll be able to pop in, get a tiny tree and Bloom & Wild will even stock lots of tiny decorations to dress your tree!